Sandals Resorts has released the February schedule of its webinars, created exclusively for Canadian agents. According to officials, the fast-paced, succinct online sessions are only 30 minutes long, but include a wealth of useful information including Canadian-specific booking incentives, sales and marketing strategies for agents to grow their business and product updates. Just by registering, agents also receive a recorded version that they can play back at their leisure. Feb. 6 – Groups, 12:30 p.m. – 1 p.m. EST. Featuring Grant Lawlor, national groups manager, Unique Vacations Canada Inc., who will share tips on how agents can tap into the lucrative groups market. Feb. 8 – Sandals Montego Bay, 1:30 p.m. – 2 p.m. EST. 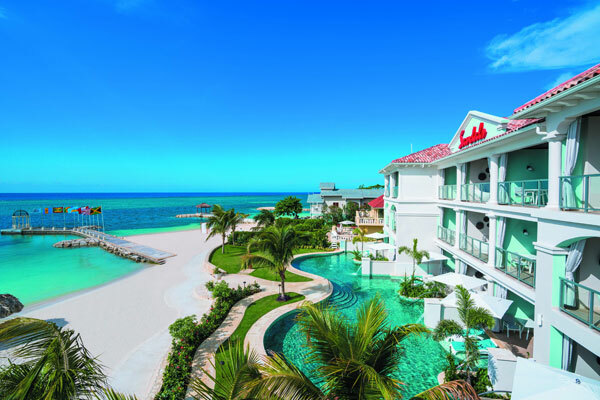 Learn about the all-new Sandals Montego Bay, the newest and hottest resort in Jamaica, with a member of the Sandals management team. Feb. 15 – Sandals Negril, 1:30 p.m. – 2 p.m. EST. Discover the laid-back elegance of this resort set on the longest and best stretch of Negril’s Seven Mile Beach with a member of the management team. Feb. 22 – Sandals Grenada, 1:30 p.m. – 2 p.m. EST. Experience the world’s most innovative all-inclusive resort with a member of the management team and discover why Sandals Grenada is the Sandals of tomorrow, today. To register, agents can send an e-mail – that includes their IATA number – to webinars@uvisandals.ca to receive further details and log-in instructions.